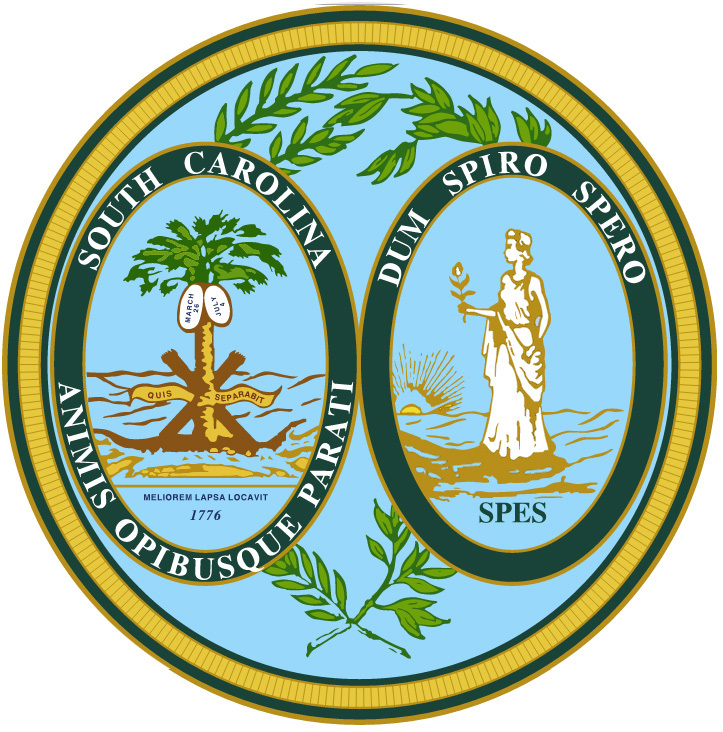 The official nickname for South Carolina is The Palmetto State, referring to the state tree (the sabal palmetto). Commonly called the cabbage palmetto, the sabal palmetto (Inodes Palmetto) was added to the "National" flag of South Carolina after it seceded from the Union in 1861. 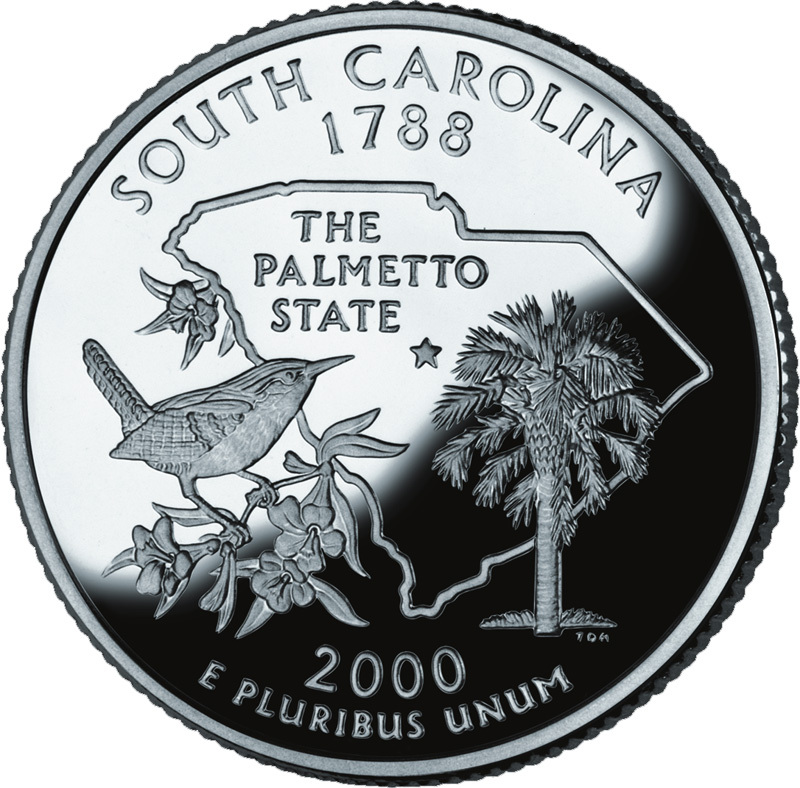 A palmetto remains on the present-day state flag, a sabal palm appears on the South Carolina state seal, and is even mentioned in the salute to the flag of South Carolina ("I salute the flag of South Carolina and pledge to the Palmetto State love, loyalty and faith"). The Rice State: the production of rice in South Carolina led to this nickname. The Swamp State: South Carolina is well known for the swamps and marshes where rice is grown. 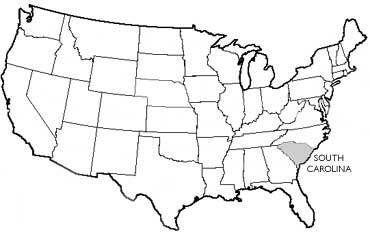 Keystone of the South Atlantic Seaboard: from the geographic wedge shape of South Carolina. The Iodine State: because of the large amount of iodine found in the vegetation growing in South Carolina. 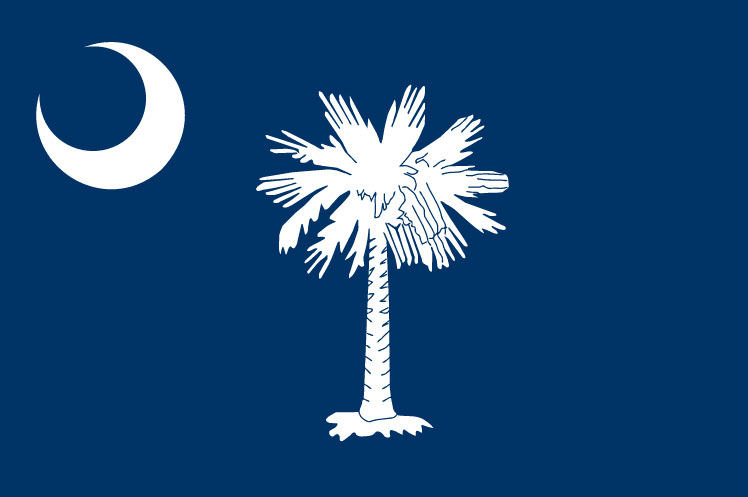 Flag of South Carolina; public domain image on Wikipedia.